Abington Woods is a campsite at Little Abington, in South Cambridgeshire. It used to be a Scout campsite, and is now managed by a Community Interest Company. This is a personal, unofficial website and most of the information here is historical, but if you're interested in booking, see the next section. Get in touch with the site manager for Abington Woods at abingtonwoods@gmail.com, who will be able to provide information on pricing, availability, and so on. There's also some information on a facebook page and on Google Maps. Abington Woods is a campsite and outdoor education centre. 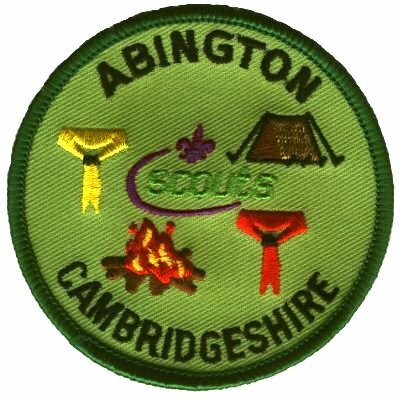 It used to be a Scout campsite, known as Little Abington Campsite and Training Ground; it was the County Campsite for Cambridgeshire. It is now run by a Community Interest Company set up by Cambridge International School and Little Abington Parish Council. The village of Little Abington itself lies around eight miles south-east of Cambridge, close to the A1307. The campsite comprises grass and woodland, covering about seven acres; it is bordered on the south by the small stream that becomes the River Granta. There are indoor catering facilities, showers, and toilets. There are plenty of routes for hiking in the local area. Local attractions include Duxford Imperial War Museum and Linton Zoo. There is a page about off-site activities and local services. There is also a page with a series of routes for walks finishing at the campsite. How to find the campsite. The site is home to the Abington Jeremiahs Scout Group. A (brief) outline of the site's history. Documents related to the site's ownership. The site was the subject of considerable controversy in 2013, when the County Executive of Cambridgeshire County Scout Council decided to sell it. I've archived information about that period. There is information about camping on the Scout County's website at www.cambridgeshirescouts.org.uk. This includes a Campsite directory, interspersing information about alternative campsites inside and outside Cambridgeshire. I should like to make it clear that the present website isn't representing, or run on behalf of, Cambridgeshire County Scout Council. I used to run the official campsite website at this address, but what you're now reading is unofficial. I'm not part of the current Abington Woods management, either: if you're interested in booking the campsite, get in touch with them using the e-mail address near the top of this page.